Suitable for all ages- Great for a family day out! Riders must be a minimum of 6 years old and 110 cm to ride alone. There is also a minimum height of 85cm to be able to ride with an adult. Collection Information Tickets must be redeemed at Luge ticketing counter, please have your iVenture Card present. 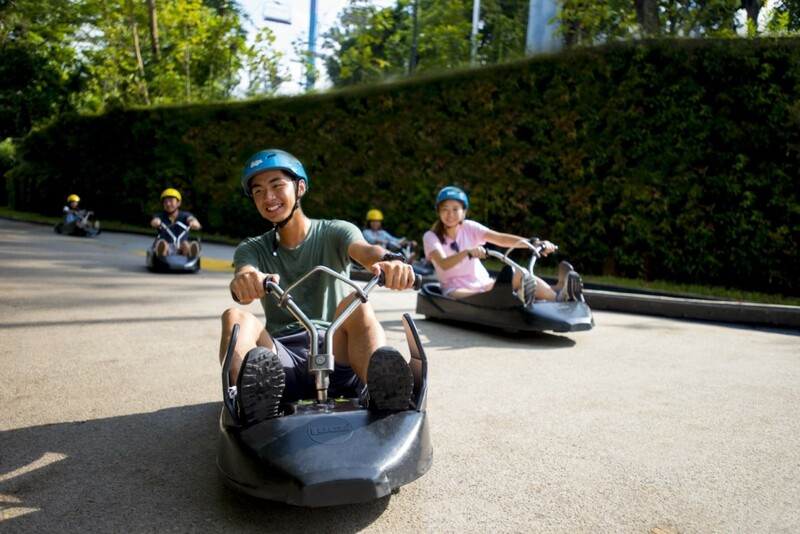 Skyline Luge is a unique wheeled gravity ride that provides riders full control over their descent on purpose-built track. 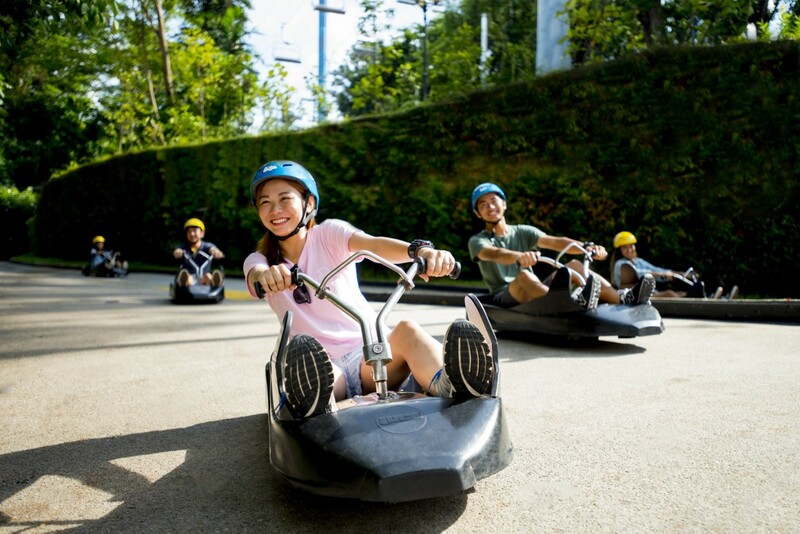 Thrill-seekers can navigate the Jungle trail or challenge themselves on the Dragon trail - then try one of two brand new Luge tracks - Kupu Kupu (638m) and Expedition (358m) that twist and turn through the mystical forest. Enjoy 2.6 kilometres of fun with your loved ones and feel the cool wind in your hair as you zoom down the tracks. 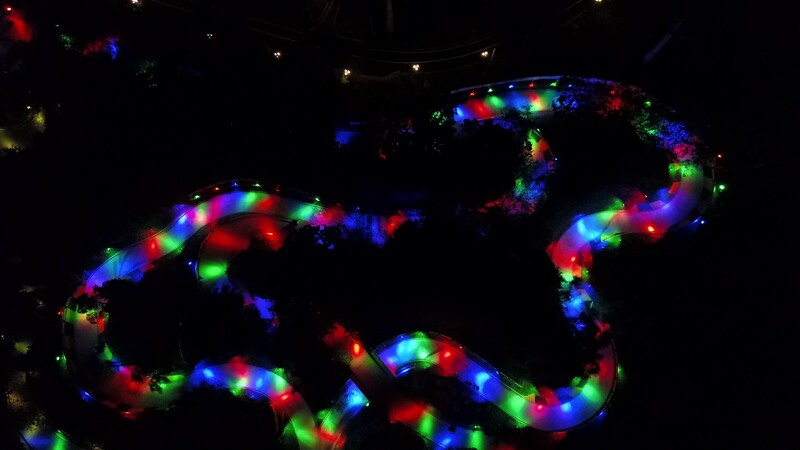 Night Luge - The tracks come alive with flashing lights and vibrant colours that provide an entirely new Luge experience. 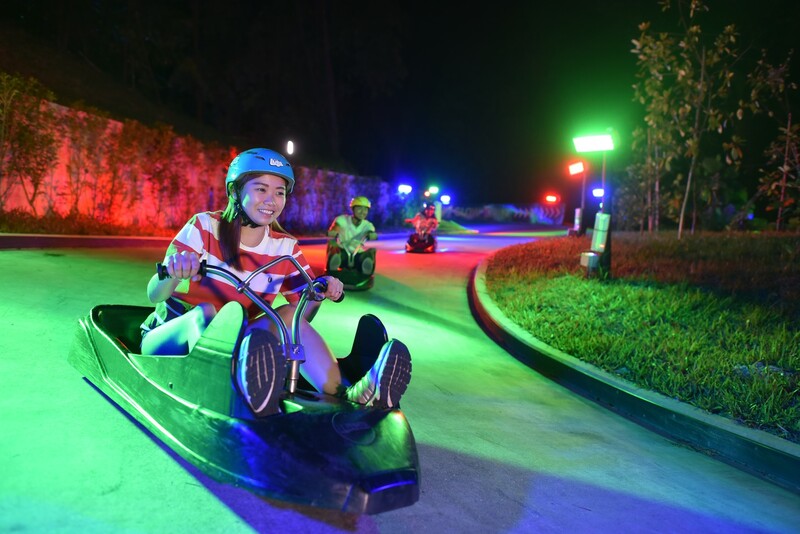 Tracks - Four thrilling Luge tracks with specially designed features including hairpin corners, exhilarating tunnels and exciting downhill slopes. The most recommended times to visit are between 10-12 am and 7-9 pm. Patrons are advised to wear comfortable clothes as it is an outdoor attraction.